HomeResourcesEntrada in the PressNew European Economy 2016: Seeking Growth, EU Auto Manufacturers are Turning To… Mexico? As published in New European Economy. (Links to external websites may no longer cite Entrada Group if the external site changes or archives the citation). One of the biggest recent developments in auto industry site selection took place in the summer of 2014 when BMW announced plans to build a $1 billion manufacturing facility in San Luis Potosi, Mexico. When the plant comes online in 2019, it is expected to churn out some 150,000 units per year. The announcement came less than two years after Audi had announced its own plant in Mexico, a $1.3 billion facility San Jose Chiapa, where the Q5 luxury SUV will be produced this year. These dual announcements were significant for several key reasons. First, the high-profile decisions of BMW and Audi showed a strong vote of confidence in the ability of Mexico to produce high-end luxury automobiles. For a while, Mexico was considered primarily as a low-cost destination for manufacturers to crank out compact and sub-compact cars. The two luxury, German automakers quickly dispelled that myth, both citing faith in the capabilities of the Mexican workforce and its established heritage in the auto sector. Second, at least in the case of Audi, the Mexico location is equally revealing about the destination where they chose not to establish operations, the United States. For years, many assumed that Audi would build a North American facility in Tennessee, as they had optioned some 800 acres near Volkswagen’s plant in Chattanooga. But Mexico won out, thanks at least in part to labor costs as much as 60% lower than in the US (according to a KPMG study) and already rivaling China, according to Boston Consulting Group and other analysts. The key difference maker, for European automakers and suppliers seeking future growth and new-market penetration, however, is Mexico’s extremely open trade philosophy. With 44 free trade agreements all over the world, companies exporting from Mexico have duty-free or extremely low-tariff access to countries responsible for 60% of the world’s GDP output. The growth has been nothing short of tremendous over the past decade-plus, as Mexico has become the world’s seventh-largest producer and fourth-largest exporter of vehicles in the world. Auto and auto-parts manufacturing are responsible for 20% of Mexico’s overall industrial output. Mexico’s open-trade status enables carmakers with in-country operations to produce for export to either the US or European market, providing a significant advantage over their rivals who may pay a duty as high as 10% on each unit without the trade protection. These free trade incentives extend down the supply chain too, and European suppliers of all size are also either establishing their own operations in Mexico or being pressured into doing so by the OEMs they supply. In order for suppliers to benefit from Mexico’s free trade incentives, they must have their own production in the country. For large, global OEMs like BMW or Audi, a $1 billion investment is perfectly feasible. But smaller suppliers lack not only the funds to greenfield their own Mexico operations, they also lack the deep in-country experience required to succeed in Mexico without taking on unsustainable risk. 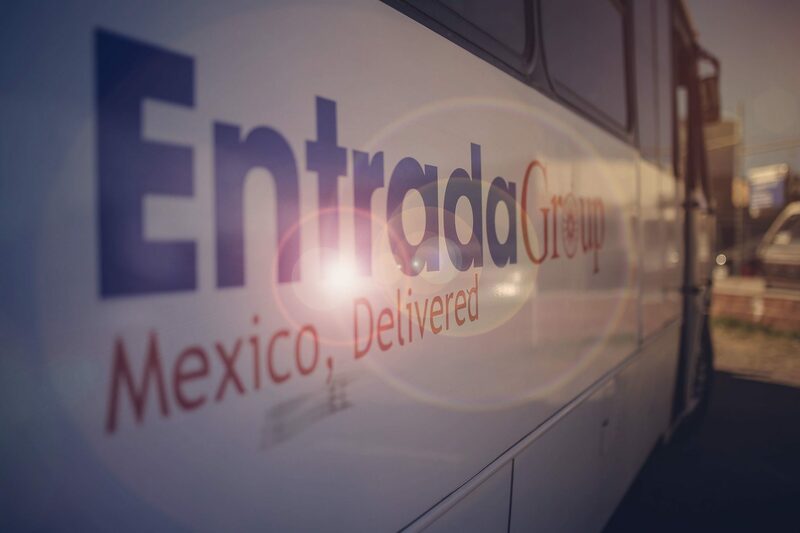 As a firm that has been guiding manufacturers from around the world in establishing their own production footprint in Mexico for nearly two decades, Entrada Group has helped our clients overcome the common challenges to Mexico: talent recruitment and retention, complex and capricious regulations, organized labor, compliance, maintenance and security, and a whole lot more. But all of these obstacles can be overcome. In the next issue of New European Economy, we’ll take a closer look at how our clients in Mexico have done so, enabling them to leverage the many strengths of Mexico manufacturing without incurring excessive costs and risks. Doug Donahue is VP of Business Development for Entrada Group, which helps foreign manufacturers establish and run their own cost-effective Mexico operations. For additional Mexico manufacturing white papers, podcasts and research, visit www.entradagroup.com/resources, including a “Sound Investment” case study that outlines how one of our clients, a European-based automotive supplier, leveraged a Mexico footprint to enter new markets.